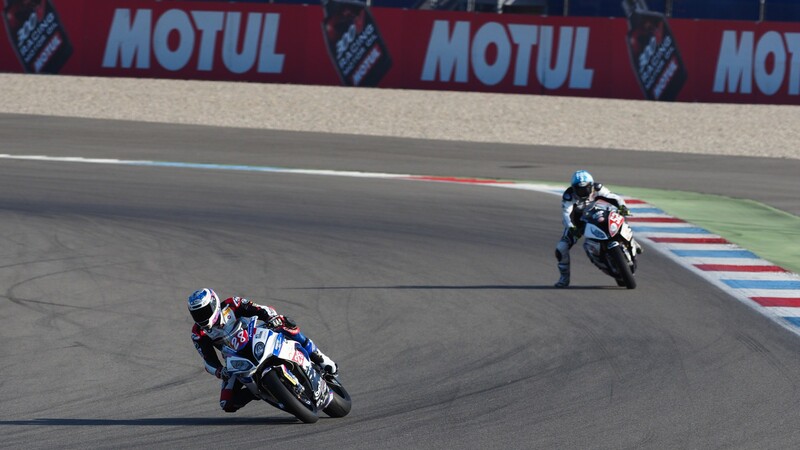 Markus Reiterberger (alpha Racing-Van Zon-BMW) stormed to a second successive pole position of the season, as the European 1000 Superstock Championship moves to Assen for the second race of the season. Victorious at MotorLand Aragon, Reiterberger showed impressive dominance throughout the session, running consistently in the mid-1’36s while his closest rivals barely managed to make it under 1’37. The first five positions from the starting grid at the Spanish Round were repeated, with Roberto Tamburini (Berclaz Racing Team SA) making it in ahead of Federico Sandi (MOTOCORSA Racing) by just one thousandth of a second, in second and third respectively. 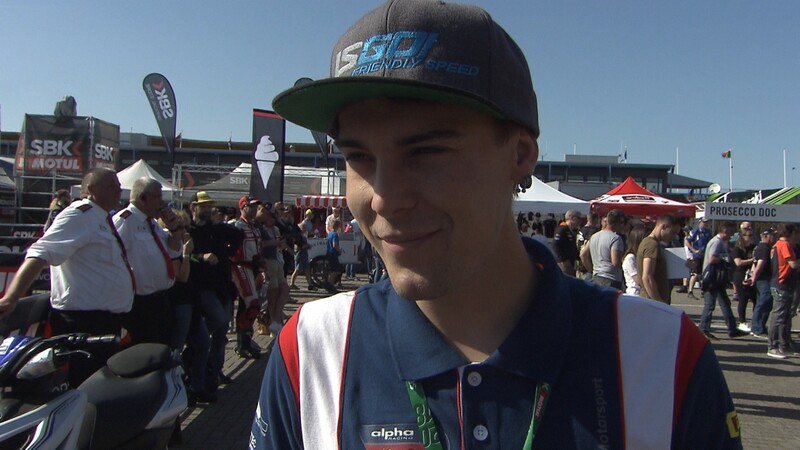 As in Aragon, Maximilian Scheib (Aprilia Racing Team) made it through the checkered flag with the fourth best time and will hope to compete for the win again, after an electronic error derailed his bid last weekend. Jan Buhn (alpha Racing-Van Zon-BMW) qualifies in fifth position, hoping to score his first points of the championship. In sixth, Emanuele Pusceddu (D.K. Racing) closes the second row, just 15 hundredths of a second off of Buhn. Florian Marino (URBIS Yamaha Motoxracing STK Team), pole here last season, could only make it through the session with the seventh best time. The top ten on the grid is completed with Riccardo Russo (C.M. Racing A.S.D. ), Wild Card and local rider Danny de Boer (Yamaha Team MGM), and Luca Vitali (Aprilia Racing Team), recovering from an early morning crash, in eighth, ninth and tenth, respectively. 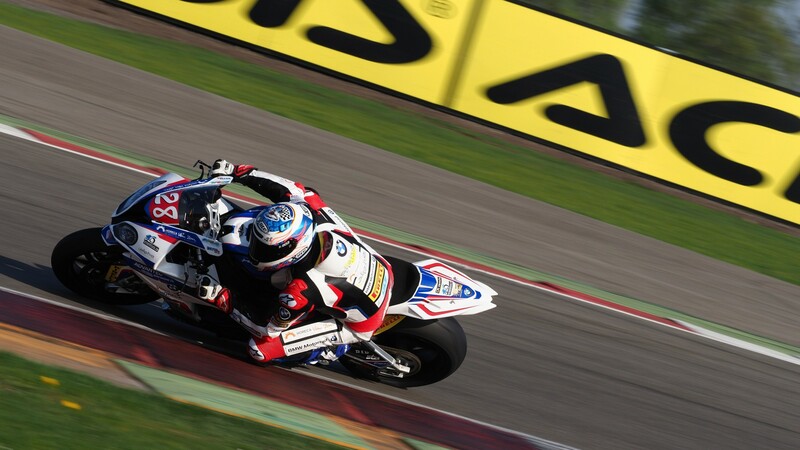 The STK1000 race is on Sunday at 15:15 (13:15 GMT), live from TT Circuit Assen. Watch the full race and all the reactions thanks to the WorldSBK VideoPass.